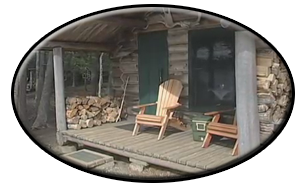 Libby's Outposts are located within the vast North Maine Woods region of Maine. 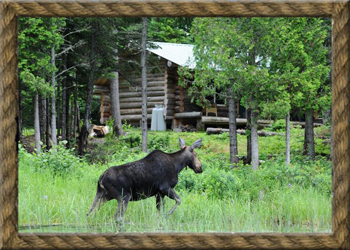 Our lake and river front log cabins access great fly fishing for native Brook Trout and Landlocked Salmon, swimming and canoeing, hiking, wingshooting for wild Ruffed Grouse and Woodcock, as well as trophy big game hunting for Black Bear, Moose, and Whitetail Deer. Escaping the rest of the crazy world seems to be the best reason to visit here. 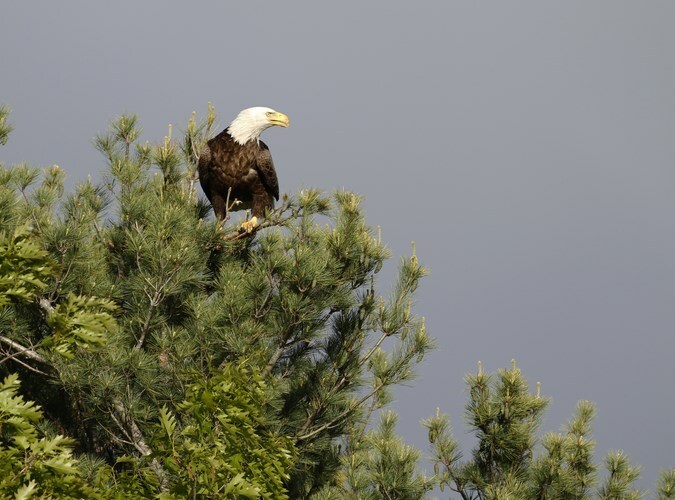 Your only neighbors are moose, loons and other wilderness wildlife. Libby’s is a century old family owned and operated business for over 4 generations. CC Libby and his two sons began the outpost camps in 1890 as a method of getting "sports" to their main lodge from the B & A train station in Masardis and thence to great fishing and hunting areas by canoe and trail. The often 3 day trip into camp from Boston and other eastern Cities by steamer, train, buckboard and canoe can of course be done now in a few hours by plane and only a few more by vehicle. Libby’s is unique in the Eastern U.S. in that it has two Cessna seaplanes on site to access remote regions as well as their 10 outpost cabins. 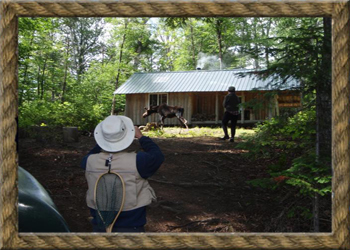 This allows the "sports" to fish for trophy native brook trout or hunt a much broader region than at a typical lodge. The 3 ½ million acre, privately owned North Maine Woods is home to one of the largest Ruffed Grouse populations in the U.S. Great hunting on old tote roads, grown-in clear cuts, and Alder swamps. Woodcock migration stays steady throughout the hunting season and gives the hunter some fast opportunities at these wily birds.